Lanca’s Prestige Flex-Industrial Building is now 56% LEASED – LANCA Contracting Ltd.
Lanca Contracting Limited is very pleased that the Multi-Tenant Flex-Industrial Building located on 38 Bury Court in Brantford, totaling 101,298 square feet is now 56% leased. 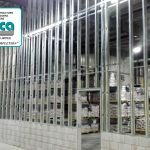 Lanca started construction on this building project in May 2015 and the space became available for occupancy in November 2015. The modern curtain wall glazing compliments the stone facade and the pre-finished insulated panels R30. 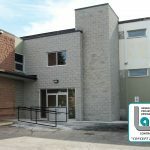 The building is located in one of Brantford’s prime industrial locations, and space is still available. (SEE DETAILS). For leasing opportunities and for more information, please call Lanca Contracting Limited at 519-756-1880.